Here are four great web tools for creating online quizzes to share with your students. We have already reviewed these tools in separate posts in the past and some of you might already be familiar with them. 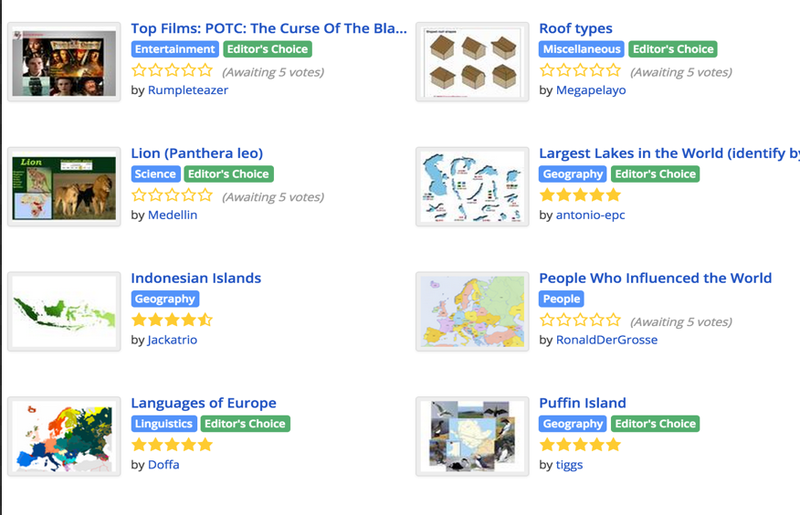 However, for those of you who haven't seen them before, these are web-based platforms for creating a wide variety of interactive quizzes. 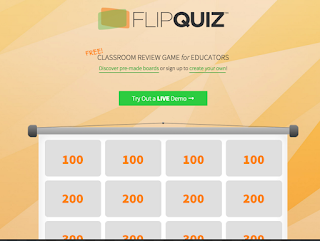 For more choices on quiz making tools, check out this page. 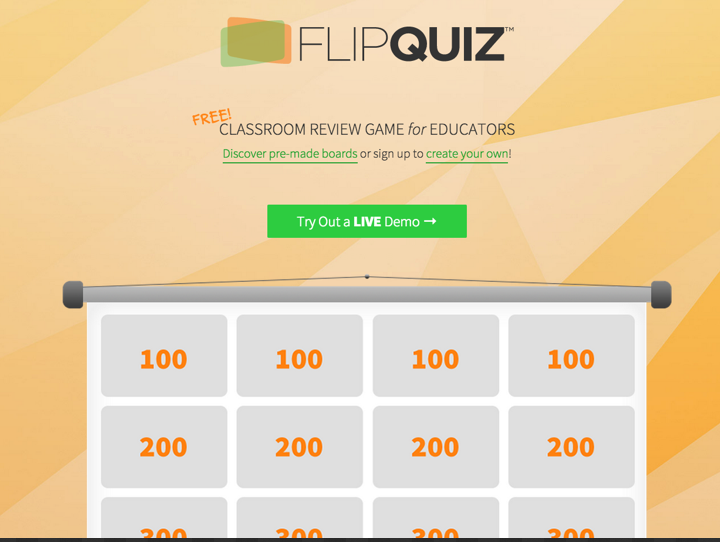 FlipQuiz is a web tool that allows teachers to easily create gameshow-style boards for test reviews in the classroom. All the boards you create can be saved for later use. You can also share your boards up on-screen and have students work on them collaboratively. Watch this demo to show you what a gameshow-style board looks like. PurposeGames is a website for engaging learners through creating and playing games.As a teacher you can use PurposeGames to create a variety of game-based quizzes. Some of the options you have include:Image Quizzes; Multiple Choice Quiz; Image shape quiz. Riddle is an excellent web tool for teachers. 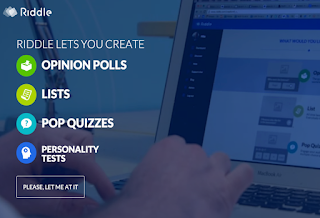 It allows them to create their own PlayBuzz and Buzzfeed-style quizzes, lists, polls, and more, often in under a minute. 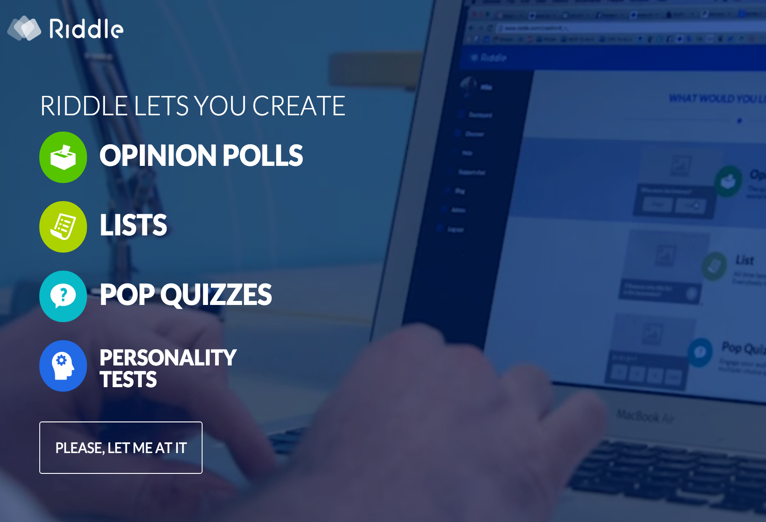 Riddle’s goal is to provide best-in-class tools that making creating interactive content simple, so you can concentrate on the content instead of worrying about the tools. Add 3 questions or 30. Make your quiz as short or as long as you want. Add unlimited choices to your questions — that means multiple choice and true/false.drag 'n drop pictures for any question. Reinforce what students should know by adding explanations to each question. Allow students to see a report of the questions they got right and wrong.